SEARCHLIGHT Newspaper, KINGSTOWN – President of St. Vincent and the Grenadines Cricket Association Dr Kishore Shallow says he is humbled by his elevation to vice-president of Cricket West Indies (CWI). Shallow, who previously served as a CWI director, was given an 8-4 nod of approval when he and incumbent Emmanuel Nathan squared off for the post last Sunday at the Jamaica Pegasus. Shallow, at last Sunday’s election, was part of a team which included Ricky Skerritt, who toppled Dave Cameron by the same 8-4 margin, to be the Shallow noted that he and Skerritt are excited to have the opportunity to serve the regional game. “Caribbean cricket is at a critical juncture, gaining the confidence of the territorial board members to lead CWI alongside Ricky (Skerritt) is exciting,” Shallow commented. “The task ahead requires a monumental effort, but we have no reservation that our ‘Cricket First’ policy is essential to steer West Indies cricket on a consistent path of success,” Shallow proffered. Shallow, while still at the relatively youthful age of 35, will lend his wealth of professional expertise to the regional cricket organization. A holder of a doctorate in Business Administration, with concentration in Finance, Shallow has a MBA from the University of Wales Institute and a BSc in Applied Business Computing, gained from the University of Sunderland. 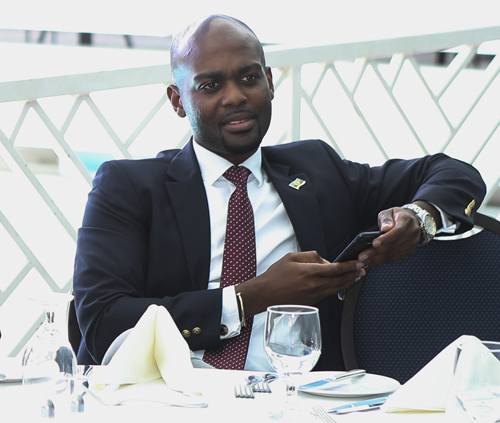 Also an Information Technology consultant, Shallow has served as a CARICOM Youth Ambassador and Vice-Dean of the CARICOM Youth Ambassadors Programme. Additionally, Shallow founded the SVG Young Professional Association and has given service to various organisations here in St Vincent and the Grenadines. Since taking over as president of the St Vincent and the Grenadines Cricket Association Inc., Shallow has sought to professionalise the operations of the organization, among other developments, which have impacted positively on the sport of cricket.